Only with the help of members and donors can the important mission of the Center be accomplished. Membership at the San Diego Archaeological Center helps you to save our history and heritage and entitles you to Special Membership advantages including free admission to the Center Museum, borrowing privileges for the Library, invitations to member events, subscription to our quarterly e-newsletter, and discounts on lectures and workshops. In recognition of the Center’s 25th anniversary, we’re offering a special membership discount for 2018! 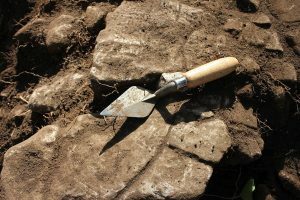 With a monthly donation to the San Diego Archaeological Center, your valuable donation will help to fund many important projects throughout the year. By becoming a sustaining member, you help us to create a stable foundation. Your donation allows us to plan for the year ahead! The Center curates millions of artifacts and shares them with the public through research, exhibition and public education. Please help us continue to preserve history by making a tax-deductible donation. When making your donation, you may indicate how you would like for your contribution to be used. Donations may be made by phone, email, or through our online form below. To make a donation by phone, call 760-291-0370 to speak with Executive Director Cindy Stankowski. She may also be reached via email at cstankowski@sandiegoarchaeology.org.